Laanhof is situated in The Avenue, which is in the heart of the Stellenbosch tourism area. Laanhof consists of 3 apartments. Laanhof 1 and 2 are open-plan self-catering studio flats, each sleeping 2 people. 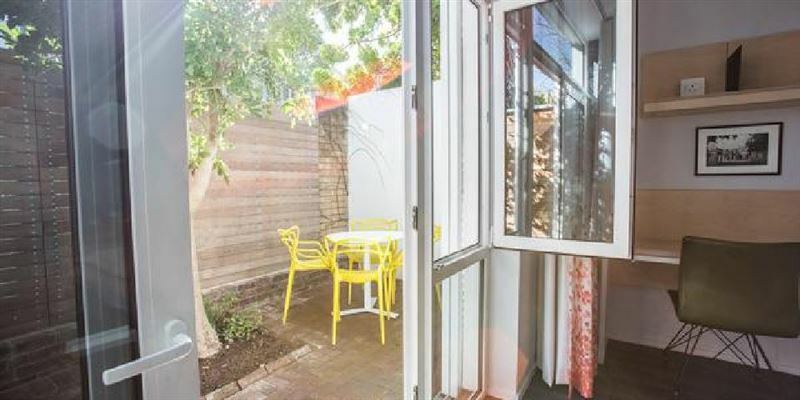 Laanhof 1 is on the ground floor and has 2 single beds, with a portable braai outside in a private courtyard. 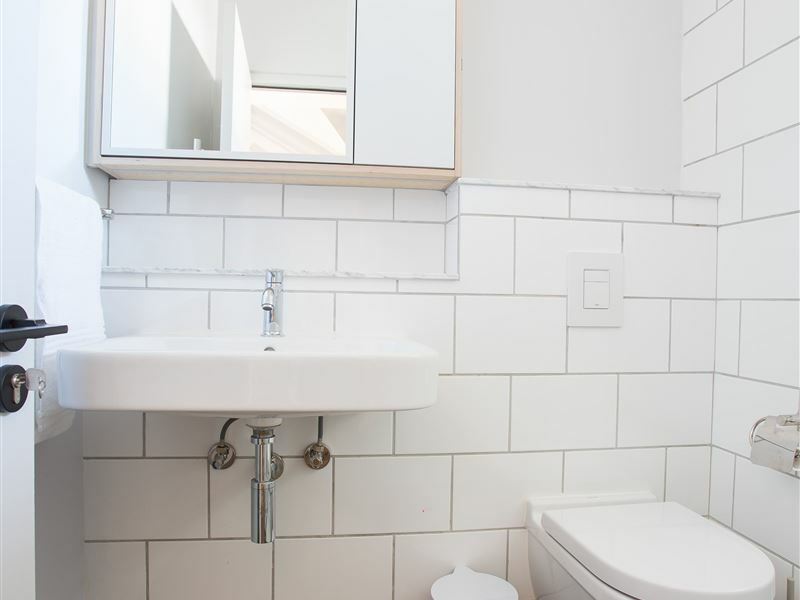 Laanhof 2 is on the first floor and features a double bed and a balcony with a built-in braai. 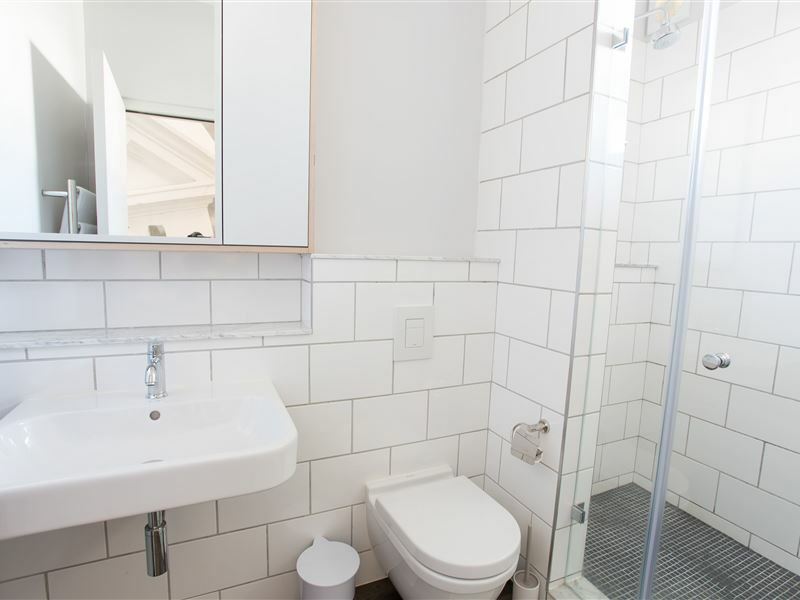 The bathroom has a shower, a toilet and a basin. 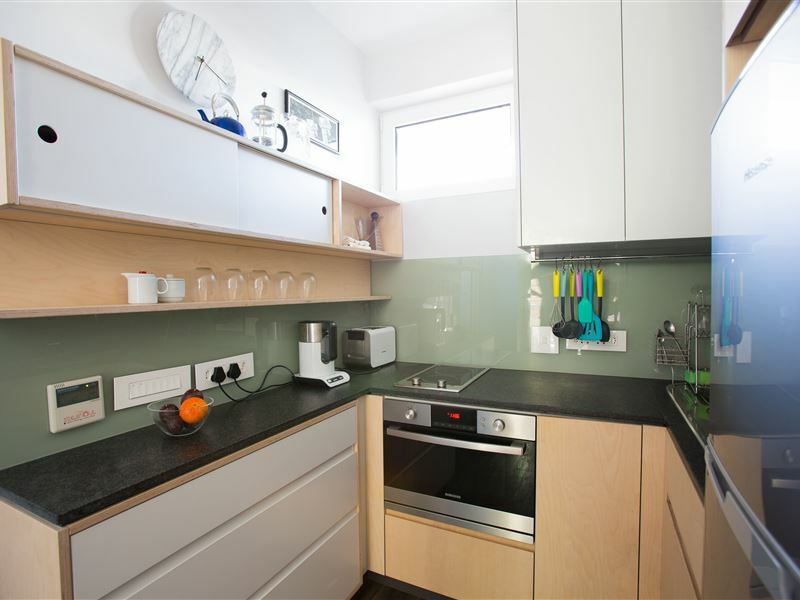 The kitchen has a microwave/convection oven, 2-plate electric hob and a fridge. All necessary cutlery and kitchen equipment are provided. 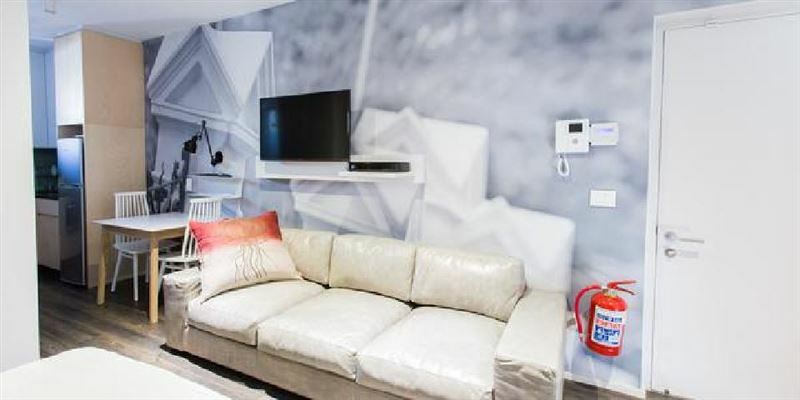 There is a large flatscreen TV with a free DStv connection and an air conditioner. The lounge area consists of a three seater couch, small dining table for 2 and a work space with access to WiFi. All bed linen, duvets and towels are provided. There is an alarm system and sliding security doors in front of the sliding doors. Your car can be parked behind a security gate. There is also a safe that a laptop can fit into. Laanhof 3 is a 2-bedroomed apartment, located on the 1st floor, sleeping 4 people. The kitchen and lounge is open plan. 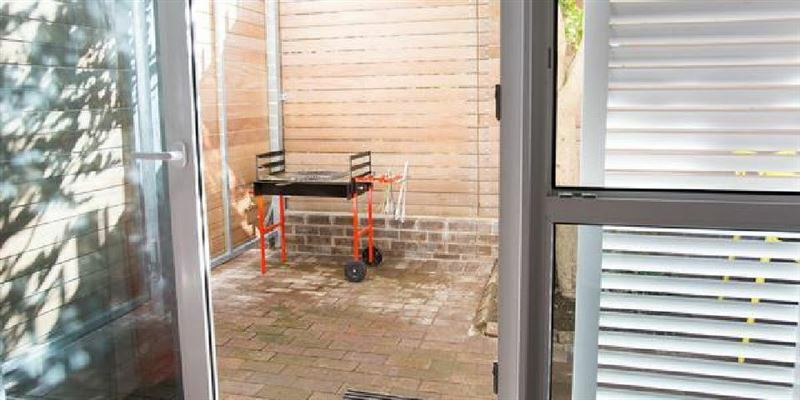 There is a built-in braai outside on a private balcony, with a view over parts of Stellenbosch. In the kitchen, there is a microwave/convection oven, 4-plate hob, fridge and a dishwasher. All necessary cutlery and kitchen equipment are provided. There is a large flatscreen TV with a free DStv connection. The lounge/kitchen area consists of a corner couch, a dining table for 4 and another chair. 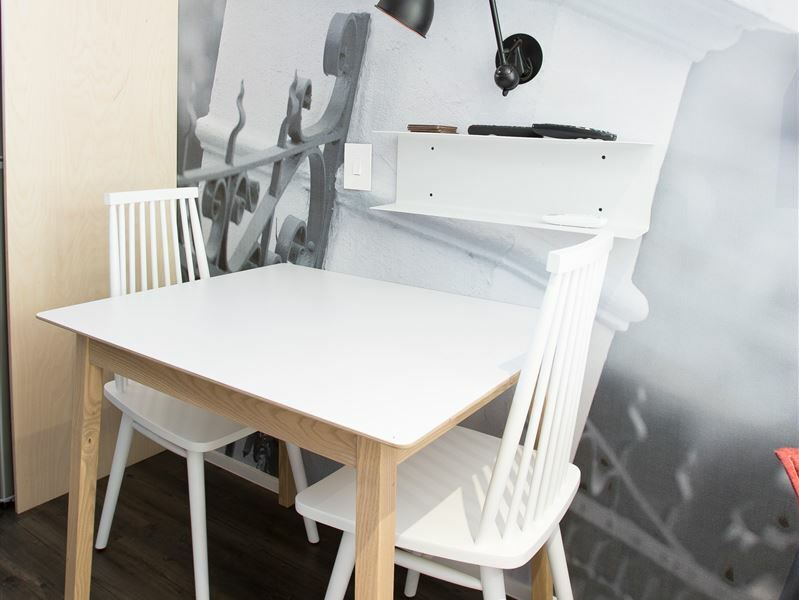 In both bedrooms, there is a work space with access to WiFi. Both bedrooms and the lounge have air-conditioners. The main bedroom has a queen-sized bed and the bathroom is en-suite. The second bedroom has 2 single beds, with the bathroom opposite the room. 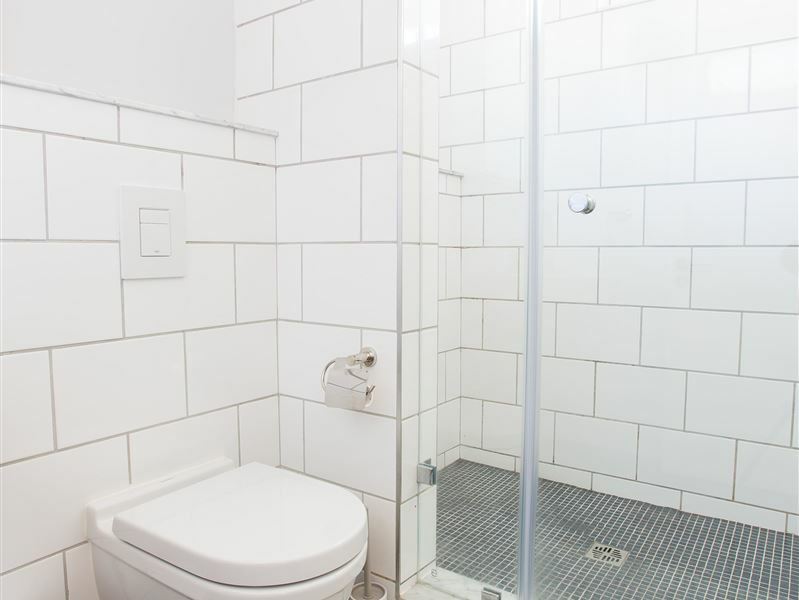 Both bathrooms have a shower, a toilet and a basin. All bed linen, duvets and towels are provided. The features an alarm system and sliding security doors on the outside of the balcony and the bedroom windows. There is space for 1 car to be parked behind the security gate. 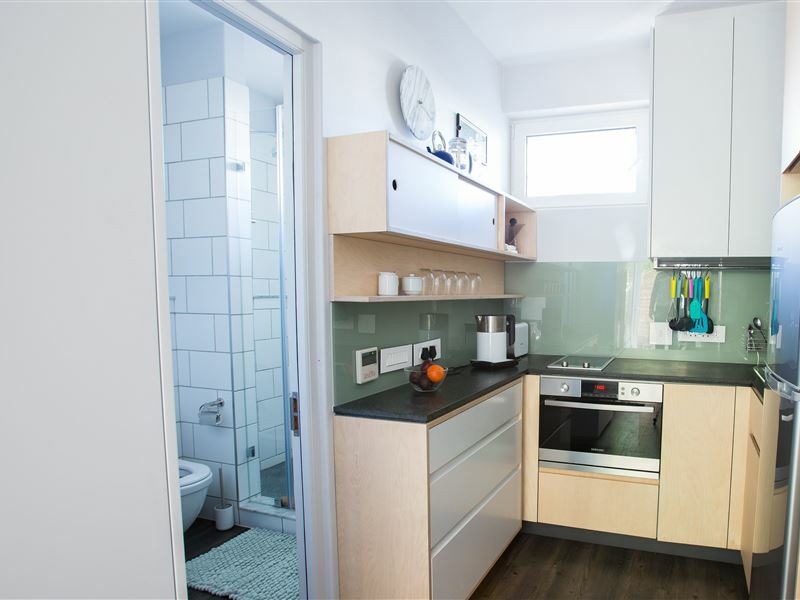 There is also a safe that a laptop can fit into and there are washing and drying facilities available on the premises for all 3 apartments. Laanhof is situated a mere 800 meters from high-quality restaurants and only a 500m walk from the Stellenbosch gym and a first class athletics centre. Some of the best wine farms are located nearby, just outside Stellenbosch, with tasting and restaurant facilities. Laanhof is walking distance from the campus of the University of Stellenbosch. Guests can hike, jog or cycle in the Coetzenburg mountain, one kilometre away or the Jonkershoek Nature Reserve, 9km from Laanhof. For the tourists, the historical area of Stellenbosch is only 800m away. Value for your money and very welcoming. Very nice and quite place, contemporary elegant furniture, very well equipped, nice stoop and private parking. The attention to detail, location and overall comfort of the accommodation was superb. Fin lgenhet, trevliga gare, lungt omrde. Sehr schne Self-Catering Unterkunft mit schner, gut ausgestatteter Kche, Waschmaschine und Trockner und Indoor Grill Areal. Interior ist sehr hochwertig. Allerdings teilt man sich das Wohnzimmer, die Kche und den Garten mit Mietern der anderen beiden Zimmern. Die Unterkunft ist sehr zentral gelegen. Die Vermieter sind in Ordnung. Request a quote from Laanhof at no obligation.